FAQ: Can I Run and Strength Train at the Same Time? Home > Exercise Tips > Can I Run and Strength Train at the Same Time? Can I Run and Strength Train at the Same Time? As a runner, you don’t just have to stick to running. And as someone who lifts weights, you don’t have to avoid any form of cardio like running like the plague. In fact, cross training is actually really beneficial to both sides of the spectrum. So if you are wondering whether you can run and strength train at the same time, here are the reasons why you definitely should. Runners can really benefit from weight training, especially with your legs. By including it in your workout, you can strengthen your leg muscles. Doing so will give you more endurance to last longer in your runs. It can also make your steps more powerful so you can propel yourself forward with more force, without having to exert more energy. Running can cause injuries. The most common injury is the Runner’s Knee. It can really be debilitating to your performance and cause you to have to stop training while you recover. If you run and strength train simultaneously though, you will be able to lessen the risk of injuries such as the Runner’s Knee. Focus on building the hips and glutes so that your leg muscles are really developed and can help support and stabilize your lower body. By building your core strength, you will be able to maintain a better posture even while running. Good posture is especially important for long-distance runners and really great for your body overall. This is also something that you should apply to your everyday life as well. How to run and strength train for runners? If you are a runner looking to strength train, make sure you start slowly to get used to it. Focus on compound exercises (multi-joint movements) such as the deadlift and squat. Bodyweight exercises also are very beneficial. Because they are not as taxing on the body as weights, they are a great way to build strength while you are recovering from running. Not to mention, they are convenient and can be done anywhere, anytime. Don’t want to lose your gains? This is why most lifters tend to avoid cardio work, including running. For the fear of losing the muscle that they painstakingly built in the gym. However, while it is important to work on your strength, it is important to include aerobic exercise in your training. Weight training does not account for your cardiovascular health, which is where running comes in. Running really works your cardiovascular health, which is great for a number of reasons. One, it will improve your heart health. This means that you will lower your risk of developing heart disease, cardiovascular disease. You’ll also lessen the risk of a stroke. By keeping your heart working and elevated, you keep it strong and healthy. And two, you will increase your oxygen capacity. By constantly working your heart through running, you will be able to take in my oxygen, so when you lift, more oxygen will be delivered to your muscles. This means you will be able to lift heavier and for longer. 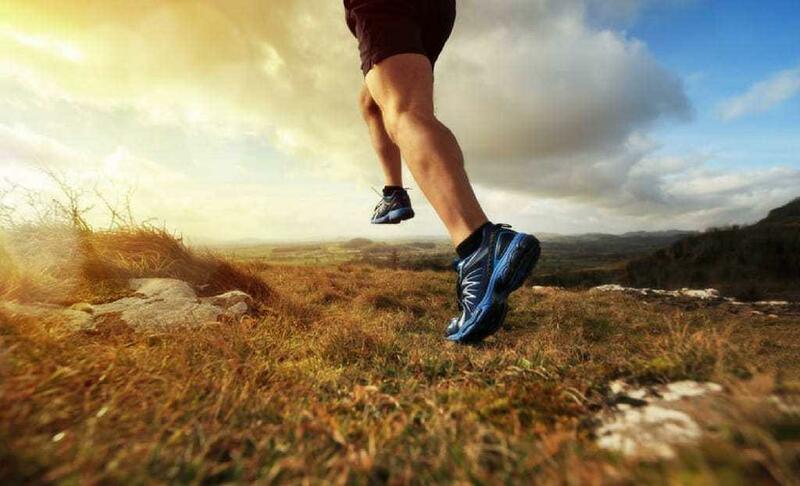 Running is a great way to build leg muscles. Depending on the type of running program you do, you can train your slow-twitch muscle fibers as well as your fast-twitch muscle fibers. Combine running with your strength training, especially leg day, you’ll really develop those leg muscles, particularly your glutes, quads, calves, and hamstrings. Want to burn more calories? Running is a great way to do this. It is a great form of cardio that can really get your metabolism fired up so will keep burning fat long after you finished training. How to run and strength train for lifters? If you are a lifter looking to run, try incorporating a low to moderate running day two to three times a week for 20-30 minutes. This helps to give you the benefits of running but also won’t hinder your strength training performance. There are multiple benefits of cross training. To run and strength train simultaneously means giving your body a well-rounded workout that hits both strength and cardio components. Plus, each of these exercises actually complements each other and can really enhance your performance as a runner or a lifter. Want to run and strength train at the same time? Use Jefit as your very own customizable workout planner and scheduler. With the ability to log your workouts and track your progress, you can make sure that you are headed towards your fitness goals. 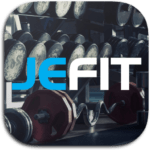 We even have our very own members-only Facebook page where you can talk and connect with your fellow Jefit members. Join now here!